Recent developments in the field of neuroscience have, very satisfactorily in my view, confirmed certain tenets that have been current in the area of English Language teaching for some time now: namely, that a positive classroom environment aids learning and memory retention and that a negative or threatening climate has the opposite effect. I would like to explore these and other points a little further, looking firstly at some of the insights from neuroscience and then seeing how they can be applied both to the learning situation and to the choice of teaching materials. It is now understood that effective learning takes place in the brain when both emotion and rational thought work together. In other words, learning cannot take place in an emotional vacuum. Emotion is an unconscious process that alerts our attention to opportunities or danger and enables us then to give rational thought to a particular situation. Further to that, the brain is evidently capable of working on many different levels at the same time: it is, in fact, a multi-tasking machine. The fact that the emotion centres of the brain are closely connected to the thinking and memory centres raises all sorts of questions about the type of learning our students are presented with. There is clinical evidence that stress, boredom, confusion and anxiety can interfere with learning because of certain physiological changes that take place in the brain when under stress: the blood flow to the higher cognitive levels of the brain is interrupted by the amygdala and thus the glucose needed by the cerebrum is no longer present to aid the processes of logical thought. Some contributory factors to this type of negative affective climate can be: fear of under-achievement or peer ridicule, educational materials that do not contain stimulating material for the students, a teaching style that is critical rather than encouraging and a failure to appreciate fully how long the learning process takes. The other side of the coin, fortunately, is that minimal stress in the classroom creates an unimpeded information flow through the affective filter in the amygdala, enabling important connections to be made and learning to take place. Moreover, when students find classroom activities enjoyable, the brain releases certain chemicals that stimulate the memory centres in the brain and increase attention. Conditions in the language classroom that are favourable for the above would therefore include personally engaging and motivating lessons which are seen to be relevant to the students’ own lives, combined with an atmosphere of positive emotional support and encouragement. Finally, there is now direct evidence that during the learning process, communication between the billions of neurons in our brain actually takes place. What is more, this communication happens on many different levels: between neurons that are both near to each other and between those that are far apart, sometimes even in different hemispheres of the brain. Also, connections are made from simple to more complex neural circuits and vice versa. Over time, and with repeated exposure to certain input, the neural circuits are activated more easily in response to the input. This factor helps us to understand why learning takes time: it’s not the students who are not trying hard enough, it’s their brains that need the time to make the necessary connections! The brain, then, is a living organism that searches for meaning through patterning and reorganisation of information. From the above, then, which is really no more than skimming across the surface of a huge area of fascinating research, can we extrapolate some helpful and positive implications for our own classroom practice? I would like to divide this last section into two: firstly, implications for teaching and, secondly, how the insights into the working of the brain impact on the writing of English Language teaching materials. Caine, R.N., 2004, ‘12 Brain/Mind Learning Principles in Action’, New Horizons for Learning. Christison, M., 2002, ‘Brain-based Research and Language Teaching’, English Teaching Forum Online, 40: 2. Diamond, M.C., 1999, ‘What are the Determinants of Children’s Academic Successes and Difficulties?’, New Horizons for Learning. Genesee, F., 2000, ‘Brain research: Implications for Second Language Learning’, Center for Applied Linguistics Online Resources: Digests. Sylwester, R.,2001, ‘Unconscious Emotions, Conscious Feelings, and Curricular Challenges’, New Horizons for Learning. Zull, J.E., 2003, ‘What is “The Art of Changing the Brian”?’, New Horizons for Learning. Willis, Judy, 2007, ‘The Neuroscience of Joyful Education’ in Educational Leadership, 64, Association for Supervision and Curriculum Development. Note: all the references are online publications. Megan Roderick has spent the last 24 years living, teaching and writing in Greece. 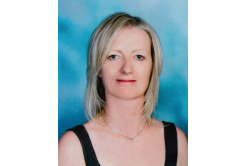 She holds an MEd in TEFL and has had a wide experience of teaching Greek students of all ages and abilities. She is a co-author of the Pearson Longman courses Cosmic B1 (2011) and Activate! B1+ (2008) and has previously authored a wide range of ELT publications. Her particular interests are the use of grammar in spoken communication tasks, the process of conveying meaning through humour, and vocabulary building. She has two teenage daughters.